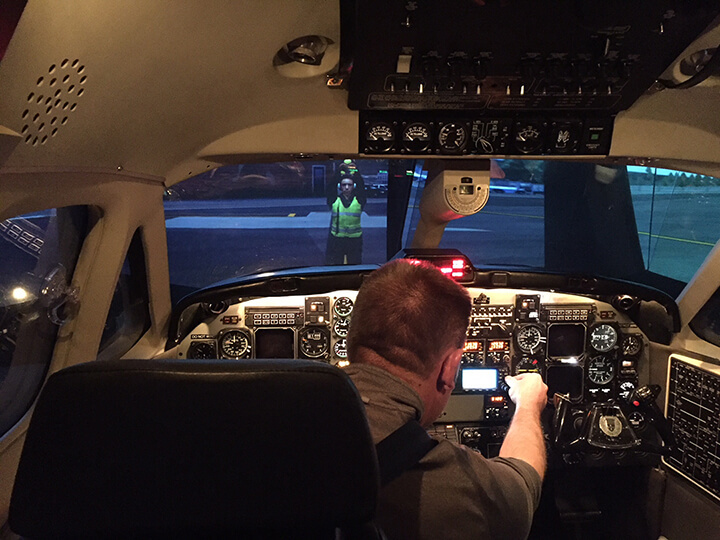 Ameriflight pilots undergoing BE1900 training can now expect not only a new location, but better facilities and new features including two simulators with GPS. In May of this year, Ameriflight’s Beech 1900 training was moved from LaGuardia Airport in New York (LGA) to Denver, Colorado (DEN). The new facility in DEN offers all of that and much more. It provides access to two GPS-equipped simulators, multiple free classrooms and is located in a modern, brightly lit training facility that is open 24 hours. Time spent training is now more efficient for everyone involved. Will McDonald, Ameriflight’s BE1900 Program Manager, explains that cost was a huge factor in the move of facilities. The savings that come with the move are substantial. While the cost is lower, the benefits of the new facility are much greater. Chris says at only three months in the new facility, the training so far has been solid. Aside from having access to an additional sim, the greatest benefit and biggest difference from the LGA location to DEN is hands-down the GPS. Ameriflight pilots can now expect to be GPS qualified after training, something that wasn’t possible at LGA. But how exactly does GPS benefit Ameriflight pilots? “GPS navigation allows for higher reliability especially in small, rural airports, where weather can shut down approaches (and thus landings) in and out. It is similar to having snow tires: if we didn’t have GPS (snow tires) we limit the kind of operations we can participate in. Ultimately reducing our capabilities,” said Chris. In addition to new hire training, the training department plans to use the new facility for recurrent training. 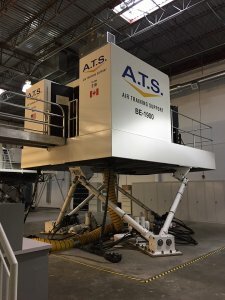 “A good number of our pilots have never trained in a simulator. Sims are fantastic for creating realistic emergencies and scenarios in a safe, trainable environment. And, not to sound like a deferred record, but the GPS in both Denver sims allows us to also qualify previously unqualified 1900 captains during a week-long recurrent,” explained Chris. Looking ahead, Ameriflight is excited to see the progression and growth from our pilots coming out of BE1900 training. Chris best explains the new facility and the move to Denver in three words: value, efficacy, and convenience.